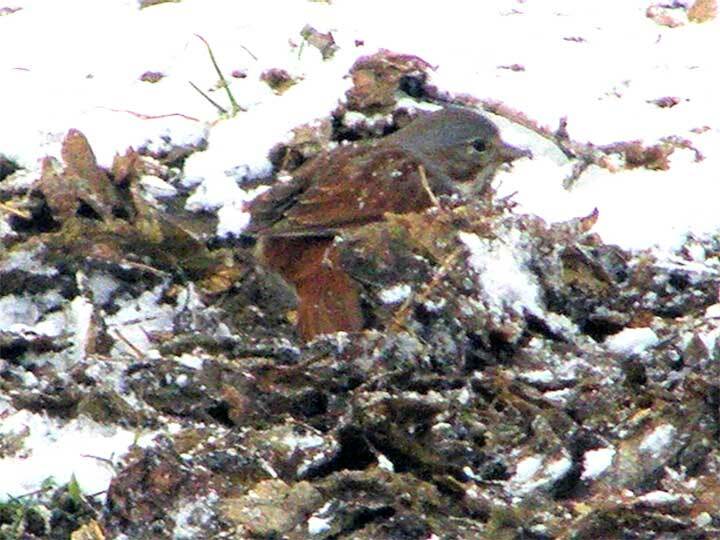 Here is a Fox Sparrow that visited our yard in late April. Larger than a House Sparrow; most forms have a rusty rump and tail. Breast heavily streaked with triangular spots, shaped like inverted V’s; these often cluster in a large blotch on the upper breast. 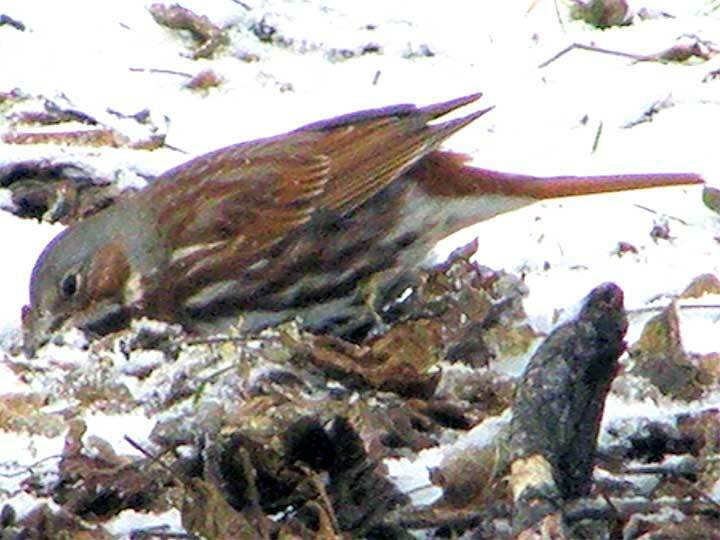 Fox Sparrows vary widely, and it is frustrating to separate them. This one looks like the ‘Rockies’ form with it’s gray head. Action towhee-like, kicking among dead leaves. This was funny to watch, as he was very active, and also burrowed in among the leaves.